At issue is a regulatory loophole that currently allows many fur-trimmed items to be sold without informing consumers whether and what kind of fur those products contain. 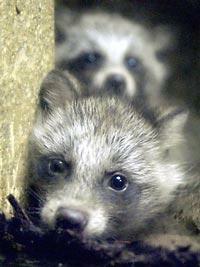 As reported on the HSUS website, dozens of falsely advertised or falsely labeled fur garments were identified across the industry with Raccoon Dogs as the most commonly misrepresented type of fur. A previous post here explained that Raccoon Dog fur is often labeled as a different animal, as “faux” fur, or possibly not even labeled at all. Saks is now supporting legislation that will close the labeling loophole. The Truth in Fur Labeling Act (S. 1076/H.R. 2480) was introduced by Senators Robert Menendez (D-NJ) and Susan Collins (R-ME) and Representatives Jim Moran (D-VA) and Mary Bono Mack (R-CA). The proposed law will eliminate an exemption to fur product labeling requirements for products containing relatively small quantities or values of fur. The bill is currently under committee review in both the Senate and House (and has been since May 2009). What is the latest with this issue?